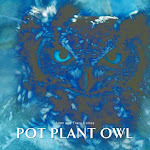 This morning I did a couple of talks on Pot Plant Owl and her family to a primary school in Johannesburg - one for Grades 1-3 and another talk for Grades 4-7. Me: Can you tell me where owls normally nest? where the egg leaves the Mommy. It was funny, entertaining and rewarding. To see the kids' expressions when I showed them photographs of the chicks, was priceless. When I showed them the book, the 'oohs' and 'aahs' that filled the hall, made my heart sing. Not one child showed fear of owls, or any kind of superstition towards owls. It shows that slowly the message is getting across. Owls are lovely and so is all the other wildlife around us. I left the school happy and comforted by the knowledge that these bright kids are going to look after our Natural Environment when they grow up. Teehee! Tracy, this story is enchanting; love the children's reactions and their questions! Seriously though, it is great that you take the time to spread the word about how wonderful (and necessary) owls and other creatures are. I'm sure these kids will remember your lesson! Who knows - you might have inspired a future naturalist or ecologist! I am so thrilled that the superstitions against the owls are fading. I'm also so thankful that we have the gifts of getting to watch these and other beautiful creatures. Thank you so much for sacrificing your porch and your potted plant for this incredible creature to provide us with an inside glimpse we wouldn't have had just a few years ago.